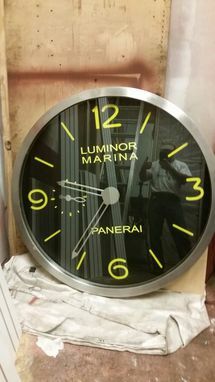 This piece was fabricated as a demonstration piece for a watch collector. 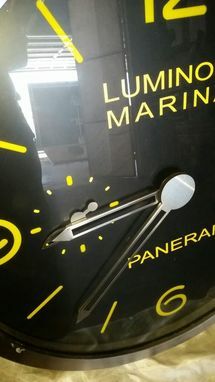 The clock features two movements like a watch. Once center movement for hour and minute hands. One off center movement with a second hand. 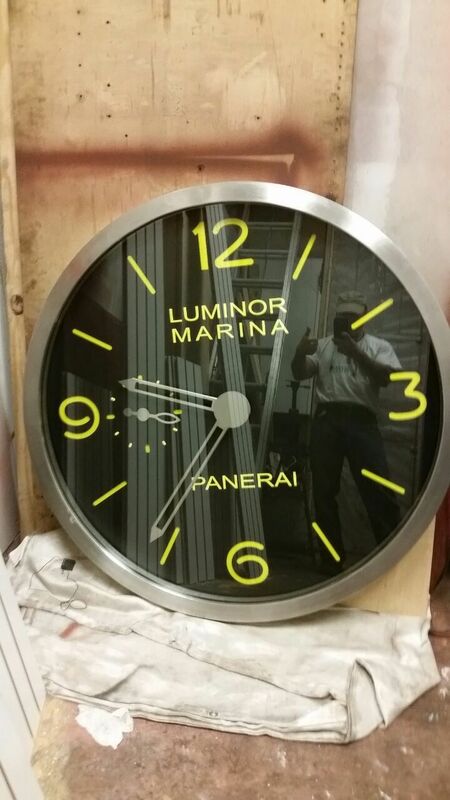 The bezel is stainless steel, The black face is powdercoated, silk screened letters and laser cut numbers. 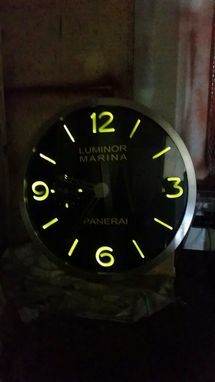 The yellow plastic is translucent and backlit with led lights.